The plastic clips are great for name badges, ID cards or badge holders. They are 1/2" wide by 1 1/4" long. 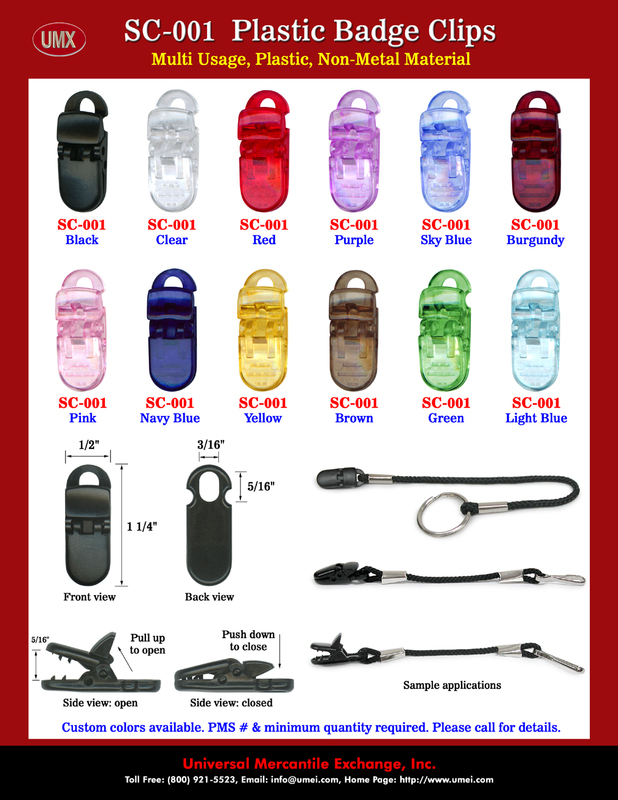 The 3/16"(w)x 5/16"(H) hole on the top of plastic badge clips can holder 3/16"(D) round cord or flat straps. You are viewing Lanyards > Badge Clips > Plastic ID Holder Clips, Plastic Badge Clips and Plastic Name Badge Clips Supplies.